The full Ecelectic “Fix The City” EP is out Now. 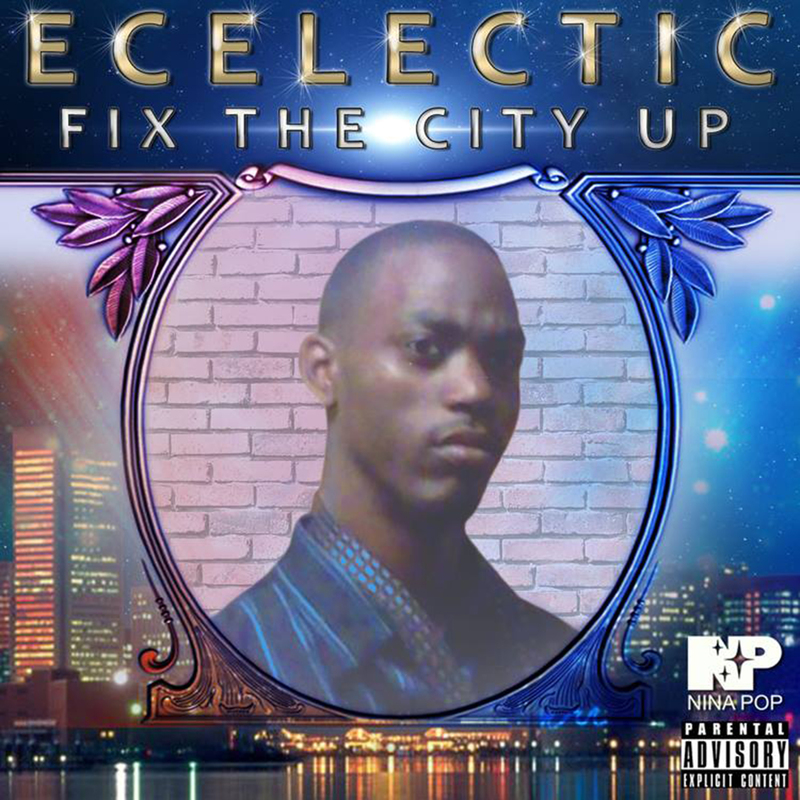 Nina Pop is proud to present “Fix The City Up,” the new EP from Baltimore vocalist Ecelectic, which features for the first time official releases of his Baltimore Club anthems “Blow This Club Up” and “F The City Up” alongside brand new material. For the past few years, Ecelectic tracks have been in heavy rotation on Bmore’s influential 92Q FM, the heartbeat of the city’s Baltimore Club movement on the radio. Both “F The City Up” and “Blow This Club Up” (the latter of which is produced by Baltimore Club legend KW Griff) have a timelines Charm City stomp, a sound ingrained into the city’s psyche both a rally call and an emotional release. Nina Pop CEO Schwarz produces some new cuts, including the stark and emotional “Club History” featuring Big Dayy, which is anchored by a “rest in peace K-Swift” chant – an ode to the late, great queen of Baltimore Club music. The EP as a whole looks to the past, present and future of the movement for cues, and the end result is a realtime snapshot of a scene not only crucial to the city, but to forward-thinking dance music globally. If you are in Baltimore there is a release party Tuesday featuring Ecelectic, DJ Hitman, DJ Juwan, Normaling, Greydolf, Vicunyah & DJ TrillNatured.